How much does your local council chief earn every year? Dublin City Council Chief Executive Owen Keegan. 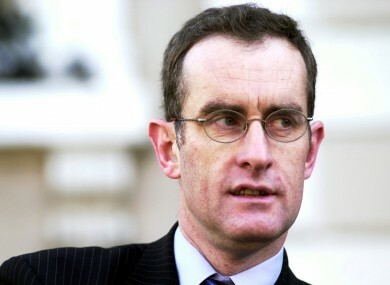 MAN OF THE moment Dublin City Council manager Owen Keegan earns €175,721 per year, according to figures released by Environment Minister Phil Hogan this week. But he’s just one of 216 local authority staff around the country who make more than €100,000 and is joined at the top of that list by the chief executives of Cork County Council, Fingal County Council and South Dublin County Council, who each earn €150,977. The numbers were provided by Hogan in response to a parliamentary question by Sinn Féin TD Brian Stanley. Dublin City Council is the largest local authority in the country, numbering 527,612 inhabitants as of the most recent census in 2011. In addition to the figures shown below, the minister’s reply pointed out that there 216 local authority staff (under 1%) earning above €100,000. These were under the Chief Executive, Assistant Chief Executive, and Director of Service positions. Reading on a mobile app? CLICK HERE to view the figures. Email “How much does your local council chief earn every year?”. Feedback on “How much does your local council chief earn every year?”.